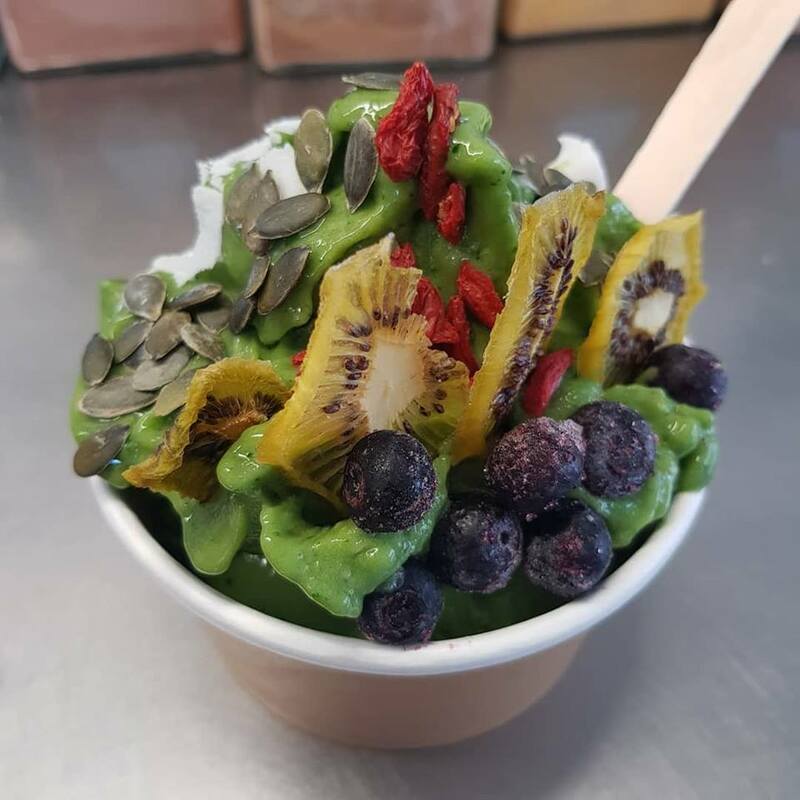 ﻿ Vitality Bowl from Vitality Organics - I AM Co.
Based in the beautiful Mount Maunganui, New Zealand, Vitality Organics are proudly New Zealand owned and operated. Each day the Vitality team can be found slinging delicious plant-based food through their ever growing locations of shake shacks. They have a delicious range of organic smoothies, coffee and food. In addition to their shake shacks, their range of superfoods and plant-based proteins can be found in all Vitality Organic locations and good retailers throughout NZ. Mix everything in a blender, and with a few twists of the wrist use a wand to create a thick consistency. Decorate with your favourite garnishes – we love dehydrated kiwifruit, goji berries, coconut chips, pepitas and cacao nibs! 322 Maunganui Road, Mount Maunganui.